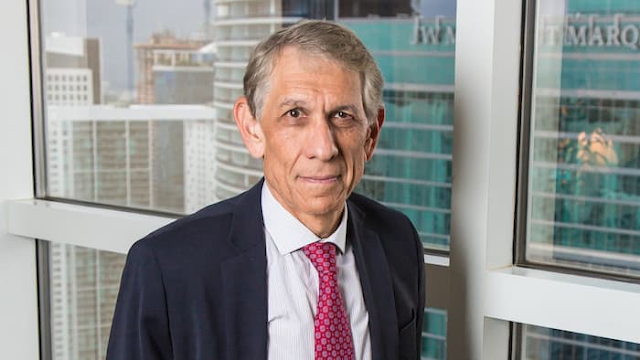 From the 36th floor of a downtown Miami office tower, Ronald Fieldstone has a 360-degree view of the construction boom that he has had a hand in fostering. There is the high-speed rail line that will connect the city to Orlando, home of Disney World. To the west is the newly renovated Langford Hotel and to the north is the building site of the Paramount Miami Worldcenter, a 60-storey condominium and retail complex, where construction crews are digging the foundations. All of those projects are funded, in part, via an investor visa programme known as EB-5 that gives investors a path to US citizenship. For a $500,000 investment in a project that creates at least 10 jobs in a high-unemployment area, a foreign national can eventually receive a green card that allows him or her to live and work permanently in the US. 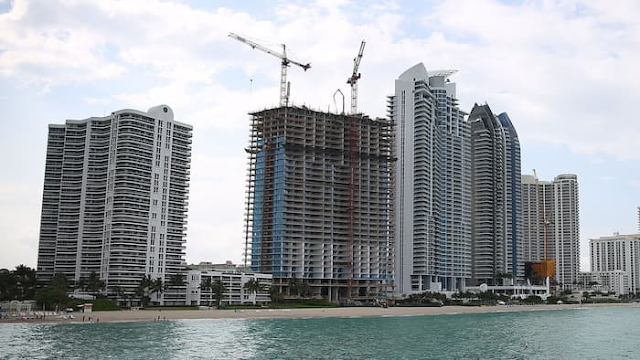 Miami, already a magnet for wealthy families from Venezuela, Brazil and Argentina, is using the EB-5 programme as a tool to attract cash from China. Officials hope to transform Miami into an international banking centre with close ties to China, which they hope to cement by persuading Chinese airlines to begin nonstop flights from the mainland. Miami’s embrace of the EB-5 is not without controversy. Critics say it is rife with fraud and used to launder money. Canada ditched a similar programme while Australia tightened its requirements after finding there was little economic benefit. Some US lawmakers say it sends a bad signal — trading visas for cash from the wealthy while much of the money has gone to well-off areas, not the distressed regions the programme was designed to help. Congress will vote later this month on whether to renew the programme. Even supporters like Mr Fieldstone say it needs more regulatory oversight to limit fraud and protect the national security interests of the US. Advocates of the programme say it has pumped hundreds of millions of dollars into mega-projects in New York and California, including the 12.7m sq ft Hudson Yards office complex in Manhattan. Now Florida wants a bigger piece of the action. The EB-5 programme was created in 1990 as part of the Immigration Act to spur the US economy and promote job growth. Since then it has brought in $15.5bn in investments and created 84,400 jobs, according to the US Citizenship and Immigration Services, a unit of the Department of Homeland Security, which oversees the programme. Applicants need to loan $1m to a job-creating business or $500,000 if the project is in an economically depressed area. After roughly five years the investor receives a green card and, if they are lucky, their money back with a profit. Other countries have investor immigration programmes of varying levels. France requires a €10m investment in a project that creates 50 jobs. Malta’s programme, which issues an EU passport for €650,000, has drawn the ire of the European Commission. The UK raised its requirement to a £2m investment in government bonds. The US programme sputtered along largely unused until the 2008 global financial crisis made it harder for real estate developers to obtain financing. Canada’s 2014 decision to close its programme, which had been extremely popular with wealthy Chinese, also gave the US version a boost. The US scheme is capped at 10,000 visas annually, which it hit for the first time in 2014. Chinese investors are by far the biggest users, accounting for 86 per cent of the visas issued last year. That has created a backlog for Chinese applicants entering the programme, which is now up to 18 months. Some fear they will choose other countries given the delays. The programme’s fast growth has exposed vulnerabilities in the system. There have been criminal cases alleging investor money was stolen. A Chicago man was charged with stealing $160m from investors that he purported to use to build a convention centre. He pleaded guilty earlier this year. Two government watchdogs have found deficiencies in oversight. An accountability audit found USCIS failed to consistently enter information, such as names or dates of birth, in its system to track individuals for potential fraud. USCIS says it has consolidated its examination staff in Washington and has started random visits to regional centres. It is also expected to propose regulatory changes later this year to strengthen the programme, including raising the minimum investment. Congress is divided over whether to improve the programme or simply end it, as Canada did. One lawmaker, Senator Dianne Feinstein, a Democrat from California who is the vice-chair of the Select Committee on Intelligence, says it should be shut down. One of his concerns, which are shared by some lawmakers and law enforcement agencies, is ensuring that cash is not being laundered or that the individual receiving the visa is not a threat to national security. “It’s very hard to trace money through particularly obscure Middle Eastern or Chinese financial systems,” Mr North says. In Miami, the view is that the influx of capital will raise the city’s profile internationally and attract more business. Developers have been on the ground in China promoting the city as the best place to park their cash. Real estate developers began their effort to recruit Chinese buyers five years ago, but now those efforts are interwoven with EB-5 financing. Marketers for the Paramount Miami Worldcenter began pitching the residences in China last year. Paramount’s builders hired a feng shui expert who advised them on introducing the right earth, wood, metal, water and fire elements in the development. They were advised to position the chairs in the lobby to face the door and green potted plants were added to the seating area. A fireplace was also added. For the first time the developers of Paramount decided to use EB-5 to finance a project. In March, following the Chinese new year, they deployed a team to the southern city of Guangzhou to pitch to potential EB-5 investors. “There seemed to be a much greater interest by the Chinese for investment opportunities in the US,” says John Montani, a business consultant to the developer. For many of the overseas investors there are other appeals, from access to the US education system for their children and a safeguard against political difficulties in their home country. The Miami Chamber of Commerce 18 months ago launched an Asia task force. “We have very few people here who speak Mandarin and who really are familiar with Asian and Chinese culture and customers. We have to build up our troops,” says Seth Gordon, chair of the task force. One hurdle is changing the image of Florida that many associate with Mickey Mouse or drug trafficking. The Chamber of Commerce arranged a visit of a group of Chinese journalists to help promote the images of sandy beaches, clean air and ocean breezes. In February, members of the chamber, the mayor of Miami and others met the Chinese consulate’s Houston office to discuss opening a branch in Miami, according to three attendees. A representative for the Chinese consulate did not have an immediate comment. Two months later, a delegation including the Miami-Dade County Commissioner flew to China and made presentations to China Eastern Airlines, China Southern Airlines and Hainan Airlines to discuss offering a nonstop service, according to a written memorandum summarising the mission, and viewed by the Financial Times. China Eastern put Miami on its “shortlist” for introducing the new service within one to two years, according to the memo. Angie Ki was among those in the Miami delegation. Ms Ki had grown up in Malaysia and lived in North Carolina for 25 years with her husband and children, working in real estate. During a family visit in 2014 to Hong Kong, she was struck by the televised broadcasts of US President Obama’s visit to China when he spoke of the US lifting sanctions on Cuba and the expansion of the Panama Canal. Seeing parallels between Cuba and the lost opportunity for many to capitalise on the growth of China’s economy, Ms Ki had an idea. “I had to be in Asia to discover Miami,” she says. After some persuasion, her husband agreed to relocate to downtown Miami in May 2015 and Ms Ki has been recruiting Chinese to Florida. Chinese investors “look at Cuba as almost 20 years behind China. They’re more excited about Cuba than Florida to be honest. 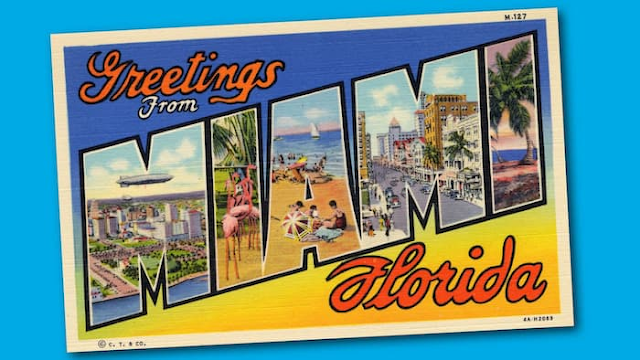 But Miami is a stepping stone to go to Cuba,” Ms Ki says. When a group of Hong Kong businessmen came to visit, Ms Ki took them on a boat ride around the city. “They look at the buildings from the boat and say, ‘Oh my god, there is so much room to build high-rises. You’ve got so much room to spend’,” she recalls. Ms Ki helps parents seeking EB-5 visas for their children, who will then go to university in the US and, with a green card, be in a better position to compete for jobs after graduation. “Miami is just waking up to the Asian market. If I was here three years ago I couldn’t get a job. Now, I can speak Chinese and have connections in Asia. It’s hot,” she says. “You’re going to see a lot of them coming,” Ms Ki predicts. The EB-5 investor visa programme that attracts thousands of Chinese millionaires a year, eager for a foothold on the path to a green card, is now luring Chinese developers to the US. Construction groups including state-owned Greenland Holding Group, Xinyuan Real Estate Co and China State Construction Engineering Corp are tapping the EB-5 programme to partially fund construction of residential and office towers. A Chinese-based developer is behind five of 27 new projects in the US, according to a March paper written by two professors at New York University. In exchange for a $500,000 loan in a project that creates at least 10 jobs, a wealthy individual can receive a green card after a typical investment of five years. After the 2008 housing crisis, traditional loans for large real estate developers dried up. Since investments under EB-5 are less expensive than bank loans they have become a normal part of financing for large developers. But the programme has been criticised by government watchdog groups for lack of integrity. “There isn’t really any oversight at all because the marketing is happening overseas,” says Mona Shah, a New York-based lawyer who specialises in EB-5. “We don’t know what’s being said and what deals are being made under the table. USCIS isn’t really able to easily scrutinise who the developers” are because they are offshore, she adds. There are also questions as to whether it fits the spirit of the programme. - The upcoming Italian referendum has been flying a bit under the radar but with a 'No' vote it could send the Euro into crisis. - Very similarly to 'Brexit' the polls are showing an almost a dead-even split with the 'No' side slightly ahead 51% to 49%. - This is another potentially game-changing event for the political and financial system coming in the next few months and the best hedge here is gold. As gold investors we have to keep our antennae highly tuned to all sorts of financial and geopolitical events that could threaten the stability of markets. Of course one of these upcoming events are the US elections, which we think is already a game-changer for the current deflationary-biased narrative, but another one which is getting far less press is the upcoming Italian referendum. We already know the significance that the British referendum had on the gold markets - that was the last time gold was under $1300 per ounce. In our opinion, the Italian referendum has the potential to be much more disruptive for the geopolitical environment and have more consequences than "Brexit". But very few people seem to be covering it or care - not dissimilar to what happened with Brexit. We will get into our thoughts on it but let us first give a brief overview on the referendum. Essentially this referendum is about Renzi being able to actually implement significant changes to the Italian system to help turnaround Italy's economy which has been weak and moribund for years. However, powerful forces are arrayed against Renzi, and a "Yes" vote is far from assured. The proposed reforms have attracted opposition not only from establishment voices who benefit from the current arrangements, but also constitutional lawyers and the growing anti-EU "5-Star Movement", which argue that it is too low of a threshold for the largest changes to Italy since the foundation of the current republic in 1946. Current polls are showing 'Yes' and 'No' running neck and neck - very similar to what we saw with "Brexit". Much like the uncertainty on who will win this vote, there's much uncertainty on what the consequences of a 'No' vote would be - and that primarily depends on what Renzi will do after the vote. Previously Renzi had stated that if the referendum ended in a 'No' vote, he would step down as PM in a move that would mimic British PM David Cameron's resignation following the EU referendum in June. However, in recent weeks Renzi has started to climb down on his promise a little. Last week, for example, he told Italian media that irrespective of the referendum outcome there will be no early elections in 2017. No early election suggests that Renzi's government may try and stay in power even if it loses the referendum, likely taking the sting out of the referendum result somewhat. Nothing would change in Italy's institutional setting, and the constitutional reform would be scrapped. The ensuing complication of a Senate regulated by a proportional representation electoral system and a Lower House regulated by an empowered majority system would inevitably have to be addressed to avoid high risks of hung parliaments before 2018. This makes the chances of early elections in 2017 pretty low, in our view, even in the case the current government falls. While the logic is there we think that consequences may be a bit more significant. Not only would it energize the opposition as they would have popular validation of their lack of confidence in the current government, it may also hit Italian bonds and banks hard as it would mean that there would be no realistic path to reform. That's not good for a financial system that has already been showing signs of stress. With an energized opposition that is primarily anti-Euro and a lack of any meaningful way to reform Italy's stagnant economy, we think it would only be a matter of time before we see a serious financial crisis in Italy and possibly a true break from the Euro. If that happens, then the Euro as we know it is doomed - and that is obviously something that would be good for gold. Thus we take the opposite view of Citi analysts as a 'No' vote would be the start of the end for Italy's Euro membership. 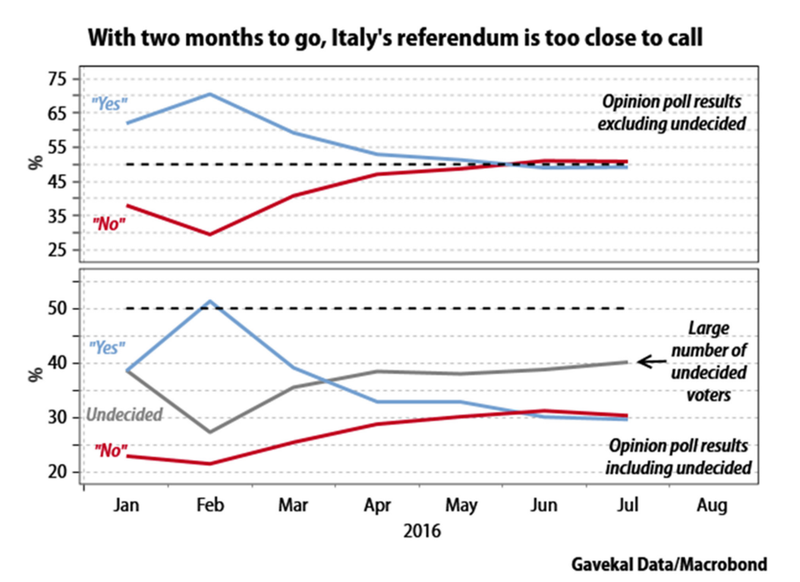 Renzi choosing to stay (rather than resign) would simply draw out the process but it wouldn't reverse the trend. Make no mistake - this is a big deal if the population votes 'No'. In fact, we think this would be a much bigger deal than Brexit (especially if it leads to an immediate resignation of Renzi) as Brexit, despite its significance, was ultimately a country that the EU could do without and that didn't even use the Euro as its national currency. Italy is much more significant for the EU and the Euro than the UK ever could be - there would be major questions about the viability of the Euro if Italy leaves as the precedent of leaving would be established and a certainly messy conversion back to the Lira would ensue. The Italian referendum to be held in late November or early December has the potential to have much bigger consequences than the 'Brexit' vote by the UK - which, to put it mildly, had widespread consequences. A 'Yes' vote would take quite a bit of risk off the table, but a 'No' vote could potentially spiral markets out of control as it would create some very uncomfortable questions about the EU and the Euro. Investors need to pay extremely close attention to the polls as we move closer to the actual referendum, and based on the latest poll published by the newspaper La Stampa on Sept. 4 credited the 'No' vote with 51 percent, against 49 percent in favor. That should be quite a bit unnerving for investors seeking stable markets as it seems the 'No' side is gaining momentum. Of course risks that involve disruptions to the wider financial system are bad for most markets - except of course precious metals. In this case, questions about the viability of the Euro and an exit of a cornerstone of the EU Project would certainly send at least some money into gold. Throw in US elections, the surge in anti-Euro party strength, and potential policy mistakes by the Federal Reserve as they try to raise interest rates into a weakening global economy and you have all the makings for a very volatile end-of-year for financial markets. This is simply another MAJOR risk causing us to change our short-term view on gold as we get closer to all of these potentially derailing events. Thus we feel that despite the large speculative long positions in gold its certainly the time to re-establish a few of our previously sold speculative gold positions in the ETFs such as the SPDR Gold Trust ETF (NYSEARCA:GLD), ETFS Physical Swiss Gold Trust ETF (NYSEARCA:SGOL), iShares Silver Trust (NYSEARCA:SLV). We aren't going to buy all of the positions yet because we expect a further drop as we get closer to the Fed's September meeting, but we certainly see many good reasons why gold has some significant potential short-term to be a high-quality performing asset as volatility returns to markets. Italy's referendum is one that is a bit under the radar right now but it will certainly start taking center stage if the 'No' vote continues to grow and for an issue that has much more severe consequences than 'Brexit', it's simply not getting the attention it deserves. STRASBOURG—When European leaders gather in Slovakia, this Friday, to reflect on the future of the European Union after the U.K. leaves it, they are expected to stick to modest proposals in an effort to paper over deep divisions on the way ahead. 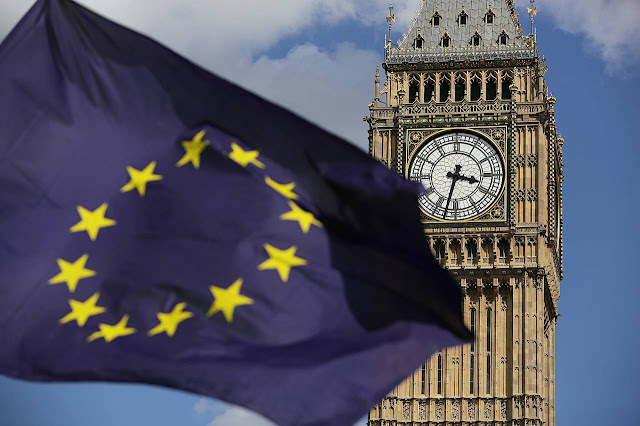 The U.K.’s June referendum, in which 52% of voters chose to quit the bloc, raised fundamental questions over the future of the EU, which has never before seen a member leave. But instead of addressing those deep questions—over whether more political integration or a looser union is the answer—leaders are likely to focus on the few issues where they can agree: more cooperation in the fight against terrorism, border security, and a more generous investment policy. “Never before have I seen such little common ground between our member states. So few areas where they agree to work together,” said European Commission President Jean-Claude Juncker, a veteran of EU politics. In the his annual State of the Union address delivered here to the European Parliament, Mr. Juncker painted a gloomy picture of the tensions and divisions within the bloc, but said the EU would withstand the pressures created by the U.K.’s Brexit vote. “We respect and regret the U.K. decision, but the EU as such is not at risk,” Mr. Juncker said. As a cure for the bloc’s ailments, Mr. Juncker put forward a series of initiatives across several policy areas, including building a greater common defense and foreign policy, doubling an EU investment fund and pushing new initiatives on a digital single market. They are rare areas of agreement, in a sharply split bloc. In Central and Eastern Europe, a growing club of smaller nations like Hungary are demanding tighter borders and more national autonomy, especially on migration policies coordinated from Brussels. That has prompted backlash from more refugee-friendly governments. Tensions flared Tuesday when, in an interview published in Germany’s Die Welt newspaper, Luxembourg foreign minister Jean Asselborn called for Hungary to be expelled from the EU due to its bad treatment of migrants. His Hungarian counterpart, Peter Szijjarto retorted that the Luxembourg politician can’t be taken seriously and called him “patronizing, arrogant and frustrated”. In Western Europe, governments in Germany, France, and the Netherlands—all three facing national elections in 2017—are watching the rise of far-right parties that want to quit core parts of the EU, such as the euro and the border-free Schengen area. In the run-up to the Bratislava summit, which includes all leaders except the U.K.’s Theresa May, EU top officials sought to play down expectations. “If they have a good day together, that will already be something,” said one senior EU official. An internal diagram based on Mr. Juncker’s consultations with all 27 leaders and seen by The Wall Street Journal depicts 29 different areas of interest. But only three—the bloc’s single market, coordination in the fight against terrorism and policies in the digital sector—were backed by more than half the bloc’s nations, the diagram shows. There was little appetite for, among other things, changing rules for workers’ mobility, on reform to the asylum system or on changing EU budget priorities. European Council chief Donald Tusk, who represents all EU governments, including the U.K., said that the Bratislava meeting will be a moment to “make an honest assessment” of the EU’s shortcomings. “Today many people, not only in the U.K., think that being part of the European Union stands in the way of stability and security,” he said in an invitation letter to all leaders. Mr. Tusk blamed “last year’s chaos on our borders” for the dwindling trust in the EU. “Rebuilding this trust has become an urgent necessity, which Brexit has demonstrated very clearly,” he wrote. —Margit Feher contributed to this article.